East Coast Fire and Safety offer a variety of emergency management procedures for businesses. This includes the coordination with your business for the production of emergency evacuation diagrams, emergency procedures, and our emergency training services. We will work with you and your business to design a package that will best suit your requirements for your staff, budget and business. We will ensure that all of your fire safety and emergency response management systems are compliant with the Australian Standard AS 3745:2010 – Planning for Emergencies in Facilities. Here at East Coast Fire and Safety we can design and produce site specific evacuation diagrams for your site. We ensure that these diagrams are accurate for your building, making sure that we work closely with your property team to produce the best product. 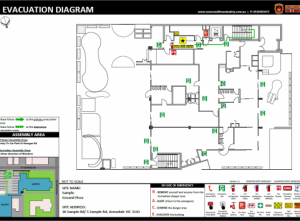 These diagrams will include the location of all firefighting equipment, such as extinguishers and hydrants, and will also include the emergency exits and assembly areas and other important details that are required to meet the Australian Standards. They must be displayed in all common areas and to the proper orientation to the viewer’s location. We will work with your Emergency Planning Committee to design and develop customized Emergency Response Procedures that are tailored to suit your premises and business. 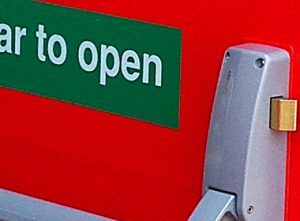 These plans will include all the important details required for fire safety standards including all exit lights, assembly points/areas, step-by-step emergency procedures, the site name and full address, and the contact details of any trained wardens on staff and the buildings contractors’ details. We can also assist with workplace assessments to help determine any potential risks that there could be. We will work with you and teach you how to limit these risks and how to deal with them before they become a potential hazard. East Coast fire and Safety also offer a range of training courses and services that are important for the fire safety and protection of the workplace and buildings, including those neighbouring. These courses cover topics such as how to raise the alarm in the event of an emergency, how to differentiate the multiple versions of alarms, and how to quickly and efficiently evacuate your building in the case of an emergency such as, but not limited to, any fires that may ignite. 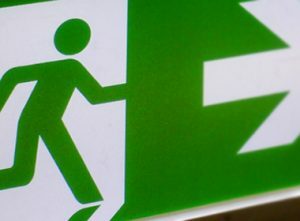 The new Australian Standard requires emergency evacuation diagrams and plans to be placed in all common areas. Each of the individual emergency diagrams must be oriented to the exact direction of exit from the point of view of the viewer. Contact East Coast Fire and Safety to discuss more our tailor-made packages with a fire safety consultant and how we can develop a site-specific emergency evacuation plan and emergency evacuation diagrams for your business.